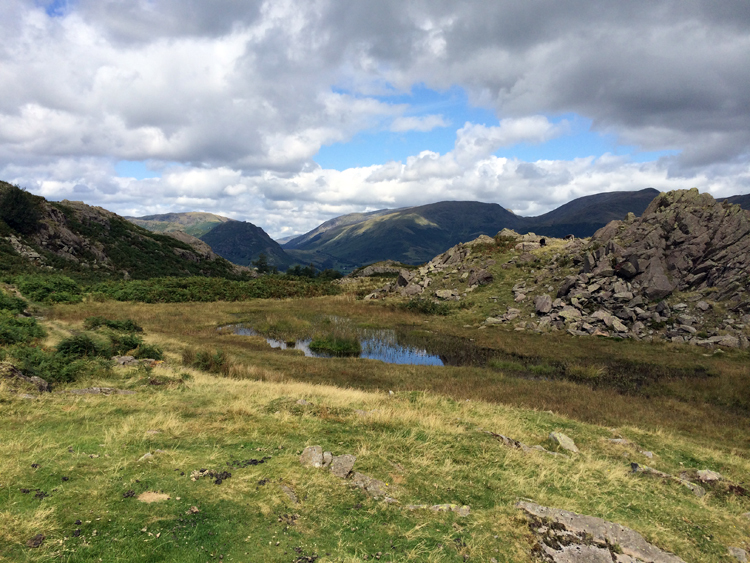 The area around Ambleside and Keswick offers some of the most beautiful walking in the south of the Lake District. 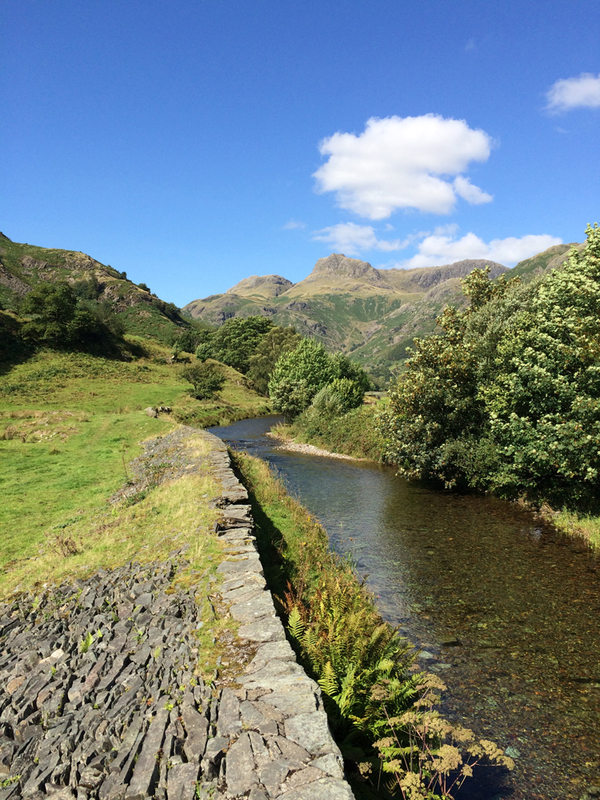 Elterwater is at the foot of the Langdales valley and provides a good starting point for exploration of the lower fells – some easy walks without the “straight up and down” that characterises many of the Lakes more spectacular treks. 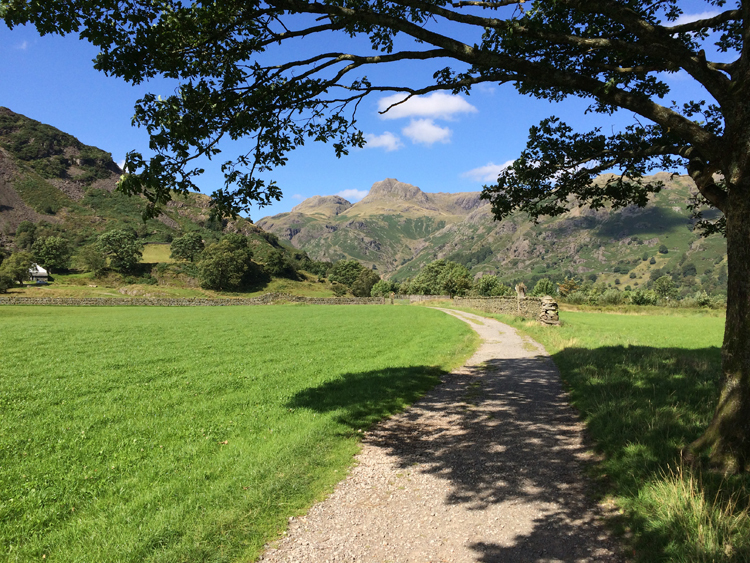 Up in Langdale itself there are a number of places – the New Dungeon Ghyll, the Old Dungeon Ghyll [confusing or what?] 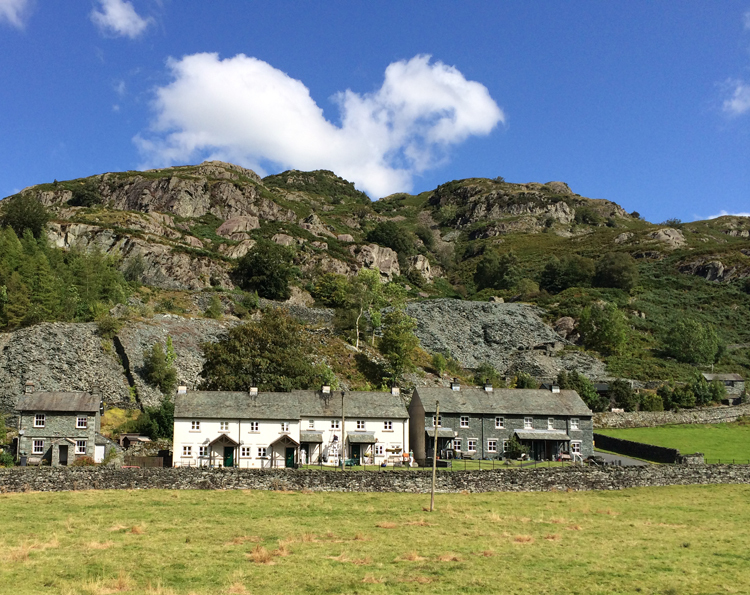 and the Stickle Barn, which is the only pub run by the National Trust. When we were there it was clear the NT didn’t run any pubs, as it was closed over the Bank Holiday weekend due [according to the New DG] to “staffing issues”. Pity, as the menu looked good and the setting can only be described as spectacular. Mind you, the New DG next door benefitted and we had some great soup. And we used their deserted car park.